The government cleared a scheme to rebate of all state and central embedded taxes for made-up textiles and apparels. This would lead to zero-rated shipments, which would in turn boost the country’s competitiveness in exports. Textiles Secretary Raghvendra Singh said that as incentives for apparels and made-ups under the Merchandise Exports from India Scheme (MEIS) were not WTO compatible anymore, the decision was crucial. He added that the MEIS scheme offered 4 per cent support and this was not available beyond 31 December. centrally embedded levies outside the ambit of GST that were added to the scheme and rates under the Remission of State Levies (RoSL) that had been revised upwards for made-ups and apparels, would enhance the incentives, he added. These incentives were not available under MEIS for made-ups and apparels. Shipments from neighbouring countries such as Bangladesh, Sri Lanka and Vietnam enjoy zero duty access to the EU; this is the biggest export market for India’s apparel industry and hence this decision was significant. Mr Singh said that India’s exports to the EU had to face a tariff disparity of about 9.6 per cent and we also faced stiff competition here where there was marginal profitability. He mentioned that they would also make efforts so that exports of fibre, yarn and fabrics would benefit and that a committee would be setup to oversee this. He added that the revenue foregone estimate because of the decision was pegged at INR 6,300 per year. 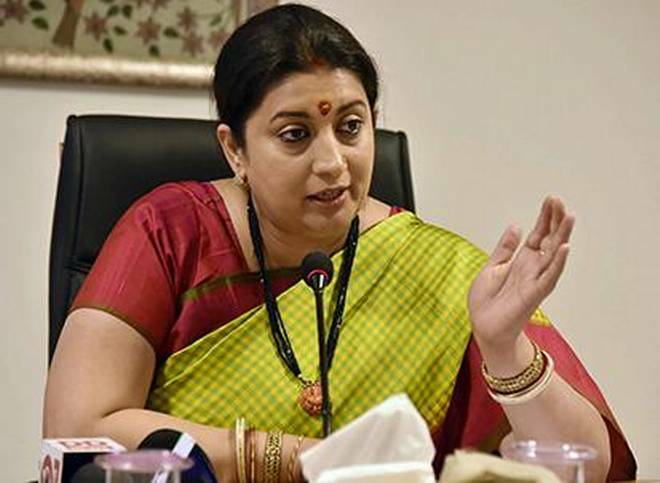 Textiles Minister Smriti Irani also tweeted that this decision that also extends rebate till 31 March 2020, would benefit the made-ups and apparels manufacturers and exporters, greatly. Combined, the made-ups and apparels share about 55 per cent in the Indian textile segment totally and this decision by the government to augment the rebate would directly impact these sectors, she added. This in turn would boost competitiveness of India’s textile exports across the world, she further mentioned.